A gem of the Pacific Northwest, Boise is known for its recreation, beautiful scenery, and affordable lifestyle. In fact, Boise is such a great place to live that the Boise-Nampa area has been dubbed Treasure Valley. Boise has gotten plenty of attention as a top place to live. 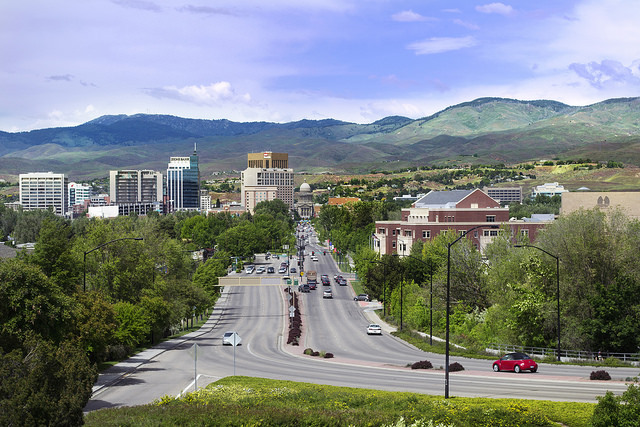 Livability highlighted Boise as a natural wonder with excellent man made amenities, while Forbes points out Boise as one of the best cities to raise a family. With broad appeal, Boise’s real estate market has recovered since the market collapse. Experts say they’ve seen an increase of more than 25% in average price growth as well as an increase in equity gains. Real estate investing, low unemployment numbers, increased job growth, and a below average local foreclosure rate all point to a thriving real estate market for Boise. As Boise’s real estate market remains steady, it’s essential that you work with a qualified real estate agent for any transaction, whether you’re buying, selling, or investing in Boise. With the right agent, you’ll be prepared to make the best offer, sell for a great price, or get the highest rate of return for your investment. In our list of the top real estate agents in Boise, you’ll find the city’s leading real estate professionals. These agents are qualified, experienced, and have many satisfied clients singing their praises. As all of these agents would be an excellent choice for your real estate needs, we’ve listed them without ranking order. However, we do want to hear from you on which one you think is the best. That’s why we encourage you to vote over the next 30 days in our poll: let us know which Boise real estate agent you think is the best! 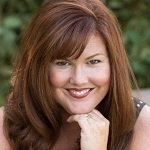 Andrea Pettitt has specialized in buying and selling homes in the Boise area for more than 11 years. She ranges from North End historic homes to open spaces in Meridian. Pettitt is committed to matching her clients with the perfect home, considering their lifestyle, expectations, and budget to find the perfect community. She also offers extensive connections, experience, and practical pricing and staging for efficient, effective sales. Her clients say she is patient, goes above and beyond the call of duty, and has a knack for finding value in homes — even when other agents don’t. 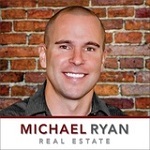 Designated broker and owner of Michael Ryan Real Estate, Michael Edgar has been a real estate agent for more than 11 years. 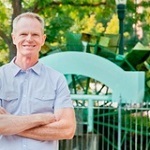 He specializes in the entire Boise area, including Meridian, Nampa, Eagle, Caldwell, and Kuna. A real estate investor himself, Edgar offers services not just for buyers and sellers, but for real estate investors, relocations, short sales, retirement properties, and more. Use his expertise in schools, employment, growth, population trends, even weather to learn more about the Boise real estate market. Clients say he is helpful, always answers questions in a timely manner, and offers an incredible tour of the entire Treasure Valley. They’re impressed by how much time he spends with them as well as his up front nature. Gabe Cordova is a native of Idaho, born and raised on a horse ranch. 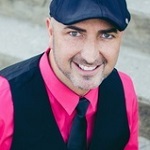 For more than 12 years, he has been a top producing agent in the Boise area, and he is an asset to his clients seeking real estate services in the area. He is committed to offering unparalleled support for his clients with full time customer service available seven days a week. Cordova is also committed to maintaining excellent market knowledge so that he and his clients are always on top of the market. His clients say he is friendly, knowledgeable, and accommodating. They value his proven track record of success as well as his incredible negotiation skills that get them the deals they need and want. 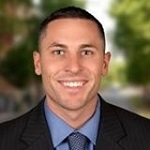 Jake Conklin is an experienced real estate professional with more than 24 years in business. 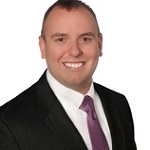 He leads the Jake Conklin team with Silvercreek Realty Group. Conklin specializes in new construction and resale homes, and is comfortable working with developers and builders throughout Treasure Valley. He finds joy in meeting and helping people as they find the home of their dreams — or move on from their old dream home into a new one. He’s also committed to excellent customer service, offering customer care that’s always available. Clients say he is patient, an excellent negotiator, and offers excellent advice. They’re impressed by his ability to zero on in the perfect homes for them, even alerting them to homes for sale before they’ve officially hit the market. 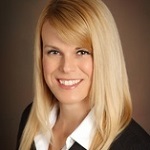 Natalie Filbert is an associate broker and real estate agent with Mountain Realty. With more than 9 years of full time real estate experience, she takes great pride in her profession. Filbert promises that her clients can always reach her, and she is committed to continually increasing her knowledge of the real estate industry as well as the Boise real estate market. She specializes in individual service with special attention for each situation, helping her clients find the right home at the right price and location. Her clients rely on her for in-depth knowledge of the local market, as well as her knowledge of mortgage financing options. They say she is incredibly patient, and they trust her expertise and integrity in every transaction. They especially appreciate how easy she is to work with, offering professional, upbeat service to each of her clients. Jordan McCrea grew up in Boise, and as a hometown Realtor, he has an excellent knowledge of the area and local real estate market. He is committed to working hard for his clients, and truly wants to offer excellent service. McCrea is a huge supporter of Boise, championing the culture, recreational activities, and excellent amenities that the city has to offer. It’s his job to help his clients reach their goals, offering the best possible deal as quickly and painlessly as possible. His clients say he works diligently to meet their needs with excellent communication and customer service. They say he is knowledgeable, an invaluable asset, and easy to work with. 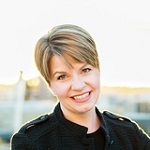 Owner and designated broker of TripleCord Real Estate, Katie Miller has been a licensed Realtor since 2005 and is a native of southern Idaho. She is down to earth, and makes it her passion to build strong relationships with her clients as she helps them reach their real estate goals in Boise. Miller holds a number of real estate designations including Graduate of the Realtor Institute, Ada County Association of Realtors Circle of Excellence and Top Producer, and member of the National Association of Realtors, Idaho Association of Realtors, and Ada County Association of Realtors. Her clients say she is a total professional, always responsive, available, and an expert at making the entire real estate process move smoothly. They appreciate her knowledge, how well she treats them, and her excellent negotiation skills. 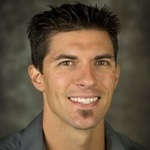 Matt Bauscher is a native of Boise, former Boise State basketball player, and a founding partner at Amherst Madison Legacy. His love of real estate spans decades, and he enjoys making the real estate process fun and enjoyable. Clients of Bauscher enjoy a great client experience and service that goes the extra mile. Bauscher is honored to be among the top 1% of agents in the Boise area, and recognized as the 2014 All Company Top Producer. Clients say he has excellent knowledge of the market, works well with all parties involved, and demonstrates great negotiation skills. They appreciate how personable, responsive, and aggressive he is on their side — as well as his results. Steven Satterlee is a native of Meridian, and studied college at Boise State University. He has been a Boise real estate agent since 2006, and since his start as an agent, customer service and communication have been his top priorities. Satterlee puts his customers first, offering a full service team to answer questions, address concerns, and share support any time it is needed. He specializes in buying distressed and bank owned properties, as well as selling homes in the current market. Clients say Satterlee is practically the perfect real estate agent, going above and beyond their expectations with quick responses, friendly service, and an enjoyable real estate service. They say he always works in their best interest with excellent support and helpful advice. Jacque Neef Mayo has more than 17 years of experience in real estate and is a local area expert for Boise and surrounding areas. She offers specialized real estate service throughout Boise, working diligently to help her clients meet their real estate goals. Mayo encourages her clients to be well informed, sharing trends in the marketplace, property value assessments, and other information to help clients make the best decisions in real estate. She is also a local area expert, offering a superior level know community knowledge. Her clients value her experience and professionalism, noting her attention to detail and prompt replies as particular strengths. They say she is highly knowledgeable, and they feel confident making real estate decisions with her guidance and support. 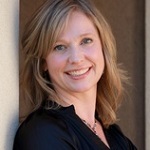 Barb Dopp is a Boise real estate professional with more than nine years of experience. 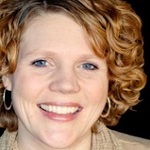 She leads the Barbara Dopp Team, and has been recognized as a top producer in Treasure Valley. She’s known for her excellent listening skills, articulation of her clients’ needs, and offering the best possible service. Dopp is a former educator, and she stresses the importance of sharing her market knowledge and teaching her clients as they buy and sell homes. 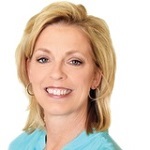 She holds a number of awards and designations in real estate including America’s Best Real Estate Agent – Idaho Teams by Real Trends as well as Certified Distressed Property Expert. Clients say she offers exceptional service and excellent communication. They love her upfront, honest service, as well as her ability to quickly find solutions to any problem. 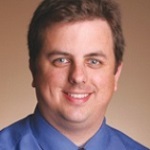 Director of sales with Red Barn Real Estate, Kit Fitzgerald has more than 13 years of experience in real estate. 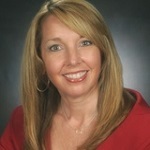 She specializes as a buyer’s agent and listing agent with interests in real estate and consulting. Fitzgerald is committed to excellent customer service, offering a talented and experienced team full of creativity and passion for real estate. She holds a number of designations in real estate, including former president of the Ada County Association of Realtors, Platinum Level Circle of Excellence Award Recipient, president of Ada County Association of Realtors Community Foundation Board, Ada County Association of Realtors Distinguished Service Award, and board member of the Idaho Association of Realtors. Clients say she is accommodating, prompt to answer questions, and an excellent source of guidance. They report quick, painless real estate transactions and a great working relationship with her. A broker with more than 21 years of experience, Steve Barbey has a superior knowledge of Treasure Valley and the real estate environment. Barbey specializes as a buyer’s agent and listing agent with interests in relocations and short sales. He has been a resident of the Boise area for more than a decade, and is a cheerleader for its status as one of the best places to live. He is always excited to answer questions for his clients. His clients share they’ve had positive experiences, and their real estate transactions went smoothly thanks to Barbey’s expertise. They appreciate his good communication and friendly, tireless service. Stacy Bahrenfuss is the owner of the Catalyst Group with more than nine years of experience in real estate. She loves what she does, and it shows, as she makes a difference in the lives of her clients. Bahrenfuss promises a professional, friendly, and successful experience as she follows through on commitments and pays attention to detail. Her clients enjoy excellent communication, and top notch support as she acts as an advisor, counselor, and friend every step of the way. Clients say Bahrenfuss is outstanding, with unsurpassed expertise in the Eagle market in particular. They enjoy how well she shares her knowledge, helps them make decisions, and communicates often and clearly. 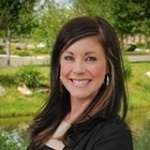 Misty Burns is an associate broker with Silvercreek Realty Group in Meridian. She has more than seven years of experience in real estate, and is passionate about providing exceptional service to her clients. She makes the needs, interests, and objectives of her clients a top priority, and helps them to attain their real estate goals with reliable information and solid advice. Burns demonstrates a commitment to work for the best interest of her clients from development of a plan to after closing. Her clients benefit from excellent communication with up to date progress and a relationship based on trust, expertise, and honesty. Burns has a number of designations and associations in real estate including Certified Relocation Specialist, Graduate of the Realtor Institute, Top Producer for multiple years, Ada County Association of Realtors Circle of Excellence Member, and membership in the Ada County Association of Realtors. Clients who have worked with Burns say they can’t imagine ever using anyone else for their real estate needs, as she delivers a superior service. They love how friendly and professional she is, and value her expertise every step of the way.